This year marks the centenary of Automobiles Citroën, and for many a car enthusiast, the task of selecting a favourite model is virtually impossible. For some, it will be the DS, the car beloved of Charles de Gaulle and famously described by the literary theorist and philosopher Roland Barthes as ‘a purely magical object’. Others might choose the 2CV, the ideal vehicle for crossing a ploughed field while carrying a basket of eggs while some will undoubtedly opt for the Traction Avant. The last-named will be forever associated in the minds of certain Britons with Rupert Davies striking a match on a wall in the opening scenes of the BBC’s Maigret adaptations. Fifty-eight years ago the new Citroën was aimed at the former 2CV driver who now aspired to a greater degree of luxury plus a certain amount of urban chic. It was never a popular car in the UK and in 1962 one British automotive magazine stated that ‘some will undoubtedly be appalled by its appearance’. Another, rather more sympathetic, title thought ‘If you need truly economical travel, appreciate real comfort, and/or enjoy unconventionality, the Citroën Ami 6 merits your support’, and by 1965 it was the most popular car in France. 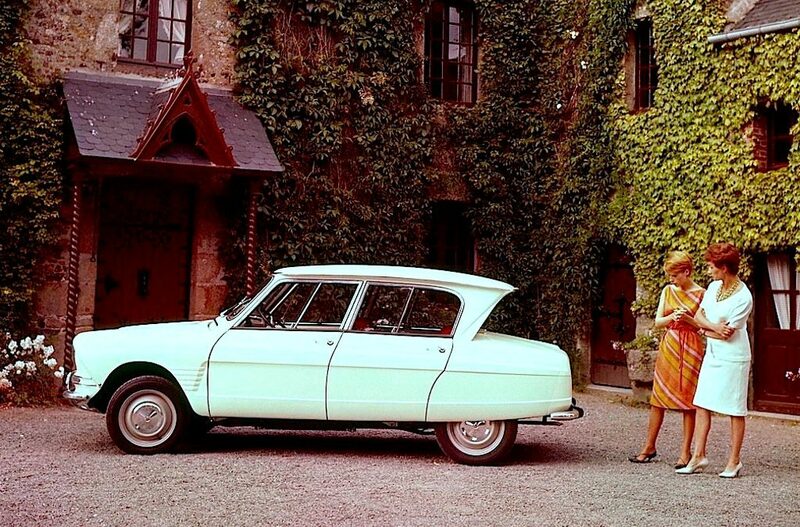 And the main reason why I crave this particular Citroën is my long term goal of taking one to Château de Bois Giraud. Obviously, it would be a leisurely journey, not least because it takes 44 seconds to accelerate from 0 to 60 while the top speed is 76 mph, but that coachwork possesses such flair. Imagine pulling up in the driveway one August afternoon in a well-preserved Ami 6, preferably wearing sunglasses and a Jean-Paul Belmondo smirk. Now that is the epitome of true style.